Al Shabaab militants publicly execute mother of two, cousin. NAIROBI, Kenya (Morning Star News) – Islamic extremists from the rebel Al Shabaab militia last week publicly beheaded a mother of two girls and her cousin in southeastern Somalia after discovering they were Christians, sources said. Barawa reportedly came under Al Shabaab control in 2009. 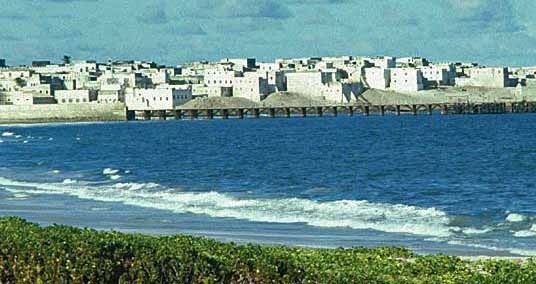 In October 2013, a U.S. Navy SEAL team raided a beachside house in the town in an unsuccessful search for Al Shabaab leader Mukhtar Abu Zubeyr. In the capital city of Mogadishu last October, gunmen who said they intended to kill a Christian for spreading his faith shot him to death, according to an area resident. Two men armed with pistols on Oct. 20, 2013 shot Abdikhani Hassan seven times as he approached his home after closing his pharmacy in Dharkenley District. Hassan was survived by a wife who was pregnant and five children ranging in age from 3 to 12. The Somali cell of Al Qaeda, Al Shabaab was suspected of killing Fatuma Isak Elmi, 35, on Sept. 1, 2013 inside her home in Beledweyne, Hiran Province in south-central Somalia (see Morning Star News, Sept. 9, 2013). Her husband had received a threatening note that morning believed to be from the Islamic extremist group and was away at the time of the murder. Al Shabaab’s attack on the upscale Westgate Shopping Mall in Nairobi, Kenya on Sept. 21, 2013 killed at least 67 people, with dozens still unaccounted for (see Morning Star News, Sept. 22). On April 13, 2013, Al Shabaab militants shot Fartun Omar to death in Buulodbarde, 20 kilometers (12 miles) from Beledweyne (see Morning Star News, April 22, 2013). Omar was the widow of Mursal Isse Siad, killed for his faith on Dec. 8, 2012 in Beledweyne, 206 miles (332 kilometers) north of Mogadishu. He had been receiving death threats for leaving Islam (see Morning Star News, Dec. 14, 2012). On June 7, 2013 in Jamaame District in southern Somalia, insurgents from the group shot 28-year-old Hassan Hurshe to death after identifying him as a Christian, sources said (see Morning Star News, June 20). Al Shabaab members brought Hurshe to a public place in the town of Jilib and shot him in the head, they said. 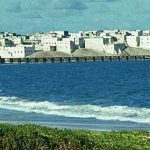 On Feb. 18, 2013, suspected Islamic extremists shot Ahmed Ali Jimale, a 42-year-old father of four, on the outskirts of the coastal city of Kismayo (see Morning Star News, Feb. 28). In Barawa on Nov. 16, 2012, Al Shabaab militants killed a Christian after accusing him of being a spy and leaving Islam, Christian and Muslim witnesses said. The extremists beheaded 25-year-old Farhan Haji Mose after monitoring his movements for six months, sources said (see Morning Star News, Nov. 17, 2012). Mose drew suspicion when he returned to Barawa in December 2011 after spending time in Kenya, according to underground Christians in Somalia. Kenya’s population is nearly 83 percent Christian, according to Operation World, while Somalia’s is close to 100 percent Muslim. I hope you know that his coming is near. Do not be deceived! For God so love the world that he gave his only begotten son that whosoever believe in him should not perish but have everlasting life. Muslims need the blood of Jesus applied to their heart and life. Hell is real and is a literal burning place . Matthew 10 28. Be blessed. Can this be/ was this confirmed independently? To the extent possible in an extremely dangerous area where few others are working, yes it is independently confirmed. Yes it is true………This happens around the world in areas where ancient Muslim religion doctrines are enforced on Muslims many times a year. It so happens that this one involved Christians and therefore being a Christian site this website makes a point. If Muslims really want to declare they are a religion of peace they need to start to show it buy dissolving all ties with ancient Muslim laws of killing for justification. They too have Thou shall not law…especially thou shall not kill. But in both Christian and Muslim circles that law is negotiable. Isn’t this normal persecution of Christians like what happened in the time of Saul. Please,who will tell these fools that however much they kill the Christians the gospel will still spread because that is how Christianity came to be. the World will continue to have genocide. Facts? – look at the factual history before and after WW2 !! An IDEA – let the UN make it Law that any government Official who signs an Act of Aggreession against another country, must put HIMSELF AND FAMILY MEMBERS on FRONT LINE of 1st attact. It will stop this! I am one of them who my parents were all killed in somalia. Following me wherever I go. I lived in Eastleigh and majengo all ma life but anyone I tell that I am Somalian Christian they push me away.